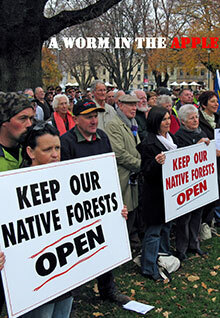 Australia’s Tasmania is one of the most pristine places on Earth yet its rainforests are under constant attack. This film is a sad reflection on the greed, the corruption and the destruction of Tasmania’s beautiful wilderness. It shows how wildlife is being decimated, people are being poisoned and farmers are driven from their land. It reveals the impact these practices have on climate change and the very lives of everyone else on Earth.